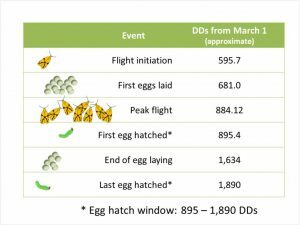 Based on our degree-day model for Sparganothis fruitworm, flight initiation is expected at around 596 DD (see chart). As of June 4, Sparganothis has accumulated 626 DD (using April 15 as biofix) or 586 DD (using April 25 as biofix). This indicates that flight activity has just started or will start soon. 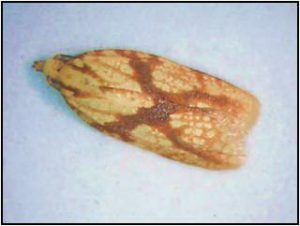 Growers are advised to place pheromone traps for monitoring this pest at this moment, if they haven’t done so already.